'BLACK' explores the darker corners of Noir's studio persona, opening with a deep bassline and atmospheric piano chord. Songstress Caitlin provides the sublime and haunting vocals, longingly expressing the emotional misery and yearning which go hand in hand with heartbreak. 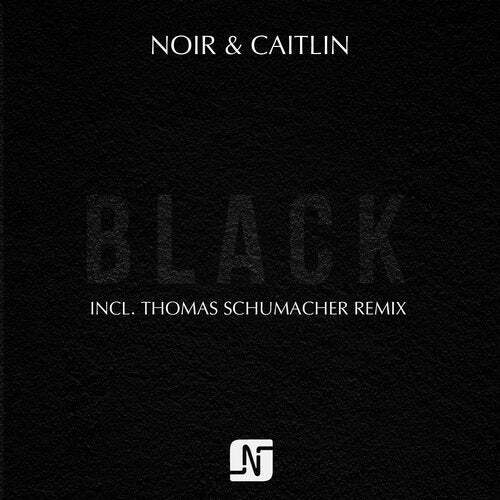 Caitlins beautifully sustained tones are then met with a chunky, italo house inspired beat that's awash with 80s-inspired synths, instantly transforming 'BLACK' into a powerful piece of electronica. With 'BLACK' and its predecessor both showcasing Noir's diverse skills as an artist, his debut album promises to delve even deeper; presenting 12 songs that will each feature a selected artist and explore the various layers of electronic music. 'BLACK' is another taste of what's to come from one of 2015's most highly anticipated debut albums.